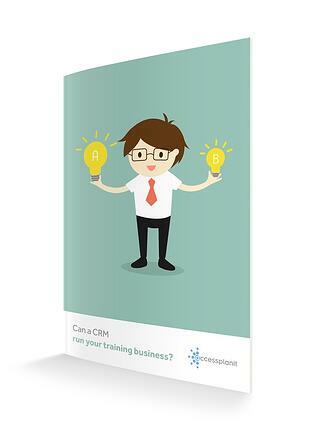 Can a CRM Run a Training Business? Should you choose a CRM or dedicated software for training companies? You want to expand your training business. You want to generate more leads. You want a solution that aligns your business objectives and back-end administration, and increases your ROI. Just one problem: There are literally hundreds of business systems and technologies that promise to revolutionise your training company. In our free guide, you'll gain access to all the details you need when deciding between a CRM and a training management system and how to choose the technology that enables true business expansion. Make an informed business decision - get your free guide today.